Chelsea is far from abandoned at this point, but Marianne Boesky is the latest gallerist to join the small wave of people opening spaces on the Upper East Side. 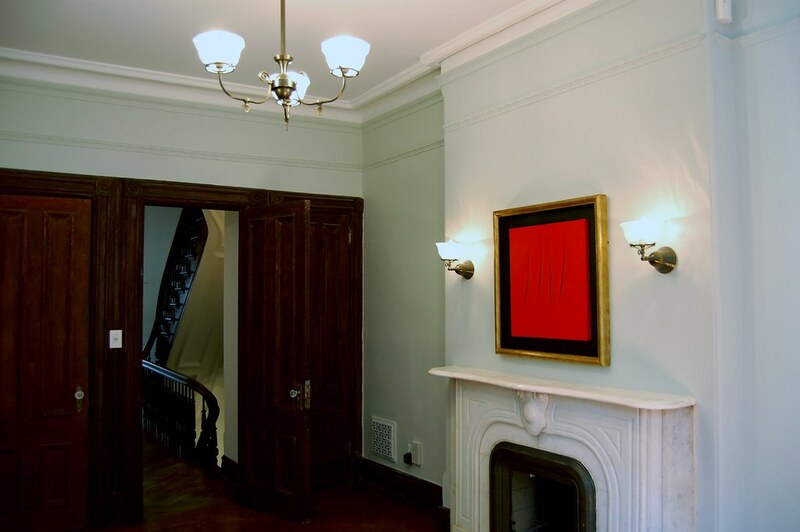 She's doing it in style, with eight pristine Lucio Fontana paintings. Seeing them in a quiet, old townhouse, hanging in intimately sized rooms is a rare pleasure. Lucio Fontana, Concetto Spaziale, 1962. Watercolor on canvas, 92 x 73 cm. 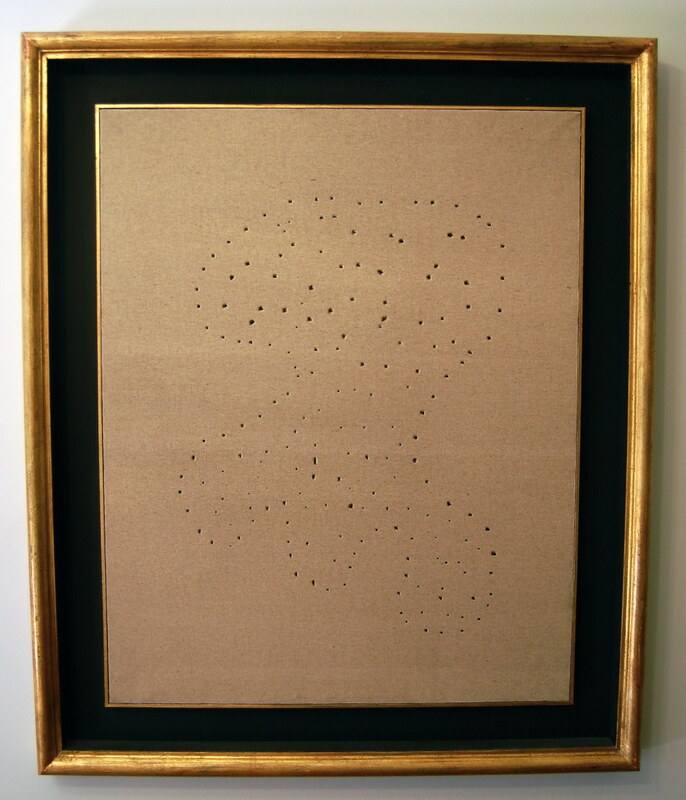 Lucio Fontana, 18 Concetto Spaziale, 1960. Linen, 94 x 74.6 cm. The Concetto Spaziale paintings from the second half of the 1960s, below, are intensely stylized precious objects. Fontana seems to have figured out how to make a smooth, seamless cut in the canvas and decided to repeat the process. However, the earlier slash paintings are the real gems here, with their halting, awkward punctures, tears, and cuts. They still look strange today. 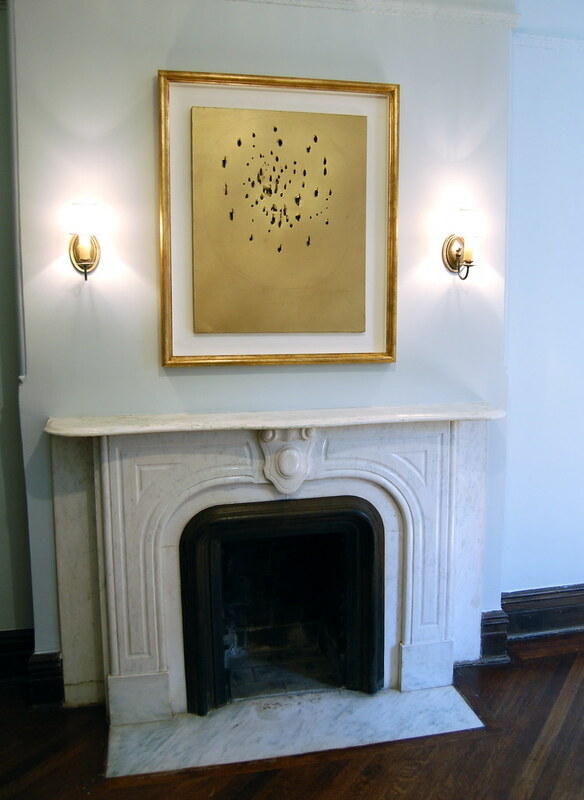 The gold frames, fine molding along the walls, and beautiful fireplaces doesn't hurt either. 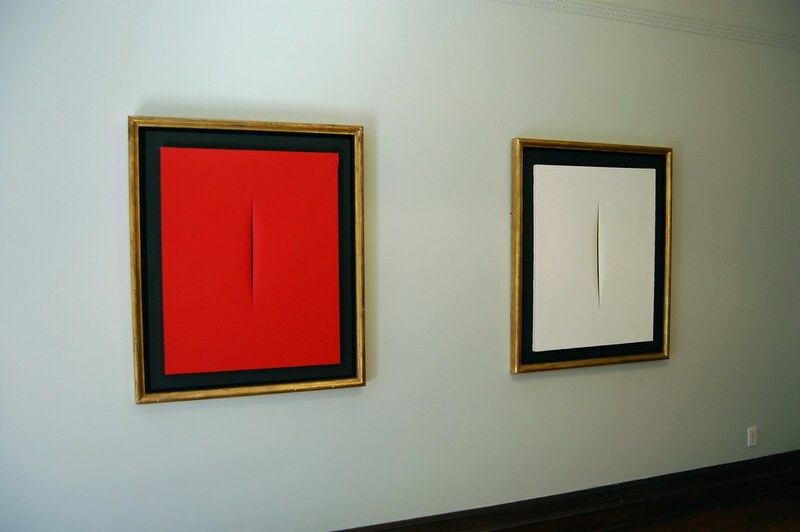 Left: Lucio Fontana, Concetto Spaziale, Attese, 1968. Watercolor on canvas, 92 x 73 cm. 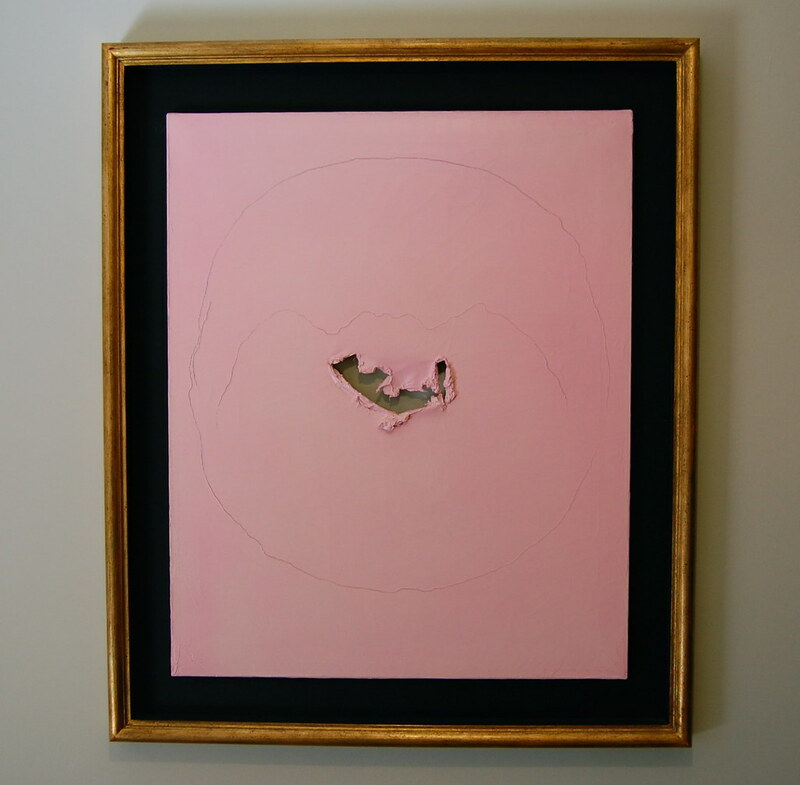 Right: Lucio Fontana, Concetto Spaziale, Attese, 1967. Watercolor on canvas, 92 x 73 cm. Lucio Fontana, Concetto Spaziale, Attese, 1967. Watecolor on canvas, 60 x 55 cm.